Posted by Dr Dog. January 11th 2016. Just like with people, January is a great time for dogs to get in shape. With extra food around the house, the occasional extra treat and more time indoors, chances are your dog will have put on weight during the festive period. There are a range of dog diets you can consider to get your pet in shape and a healthy and safe way. You can usually tell by a dog’s appearance if he or she could do with losing some weight. Have a feel around the ribs and the spine. You should find only a thin layer of fat. If you struggle to find the ribs or backbone, then he or she might be overweight. 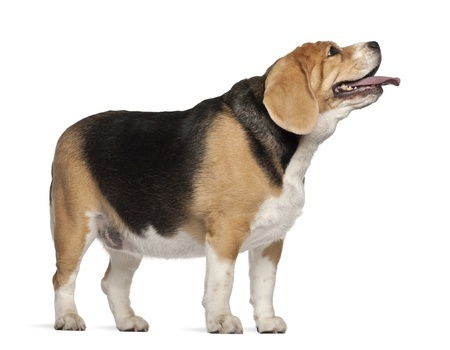 You can ask your vet what your dog’s optimal weight should be. 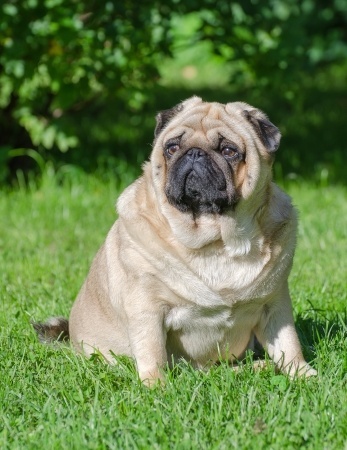 Some breeds are more prone to obesity than others, but 15% over optimum weight is regarded as obese. If that’s the case with your pooch, it’s time to start reading about dog diets and implementing them. A dog’s weight is almost certainly down to its owner. Unless it has a medical condition leading to weight-gain, then you are probably to blame for your pet piling on the pounds. The most straightforward way to help your dog lose weight is to cut the portion size at meal times. Get advice from your vet about how much your dog should eat. Dog diets should be gradual and safe, so take care not to make any drastic changes. Most shops that sell pet products sell healthy dog treats, so choose these where possible. Don’t feed your dog leftovers from your meals and don’t give into begging. It might sound difficult to resist when your beloved pet is whimpering but it will only take a few days of you staying strong before he or she gets the message. Please note: Our Argos Pet Insurance policies would not cover the cost of dietary food when on Silver & Gold levels. Furthermore, the food would need to be prescribed by a vet to be covered on our Premium packages. All of the information contained in this article was reflective of the cover levels offered in our policies at the time of writing and being published.